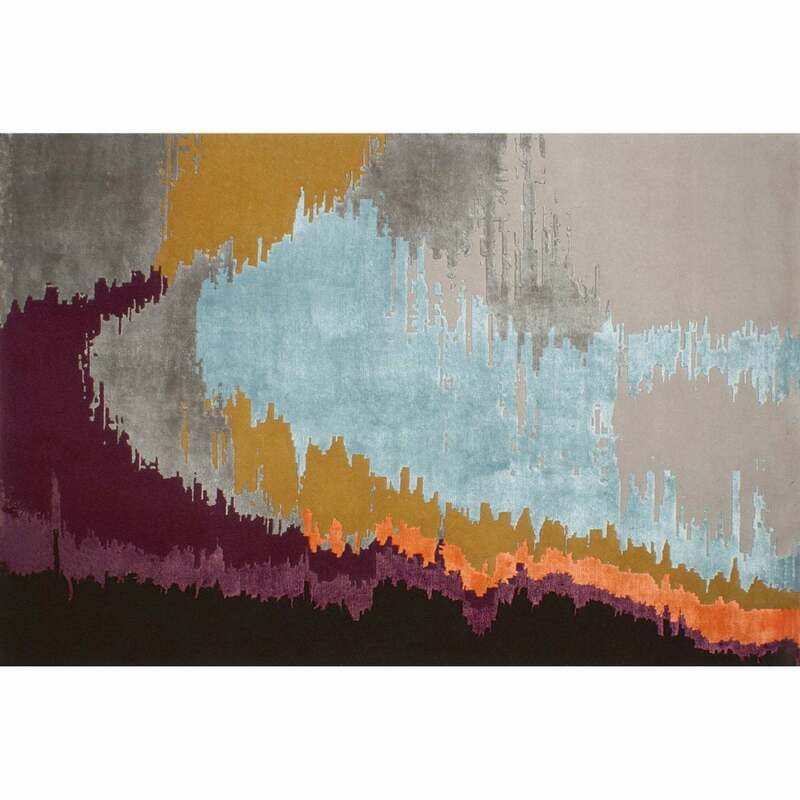 The Hoek Rug by Serge Lesage features a bold, graphic print inspired by the Ikat technique of resist dyeing on yarns prior to dyeing and weaving the fabric. The striking pattern forms a hazy effect that resembles a summer sunset at the beach. Warm shades of radiant orange and magenta enhance the cool tones of ice blue and grey to create a unique colour palette reminiscent of the ocean. Hoek will bring personality to any interior scheme whether modern traditional or cool and minimal. Style with mid-century modern furniture pieces for an on-trend look with a vintage vibe. Bespoke sizes available on request. Make an enquiry for more information.